Yes. Jesus and God run the environment. The common industry is the bad news produced by many people together to plant evil causes. The best example is the greenhouse effect that is still brewing and widely discussed. We cannot say that a specific person is responsible for this. Basically, most of us have some responsibility. Evil causes have been planted, such as the exhaust of cars, industrial waste gas, over-exploitation of forest resources, etc., are the cause of this big cause and effect, also according to the law of causality and heaven, the consequences will be automatically arranged and reported at a certain time in the future. After the evil causes are planted, it is not lurking in this way, it does not affect, but it has an impact on geography and time, and gradually accumulates until the time of retribution comes. Just as everyone has noticed the changes brought about by the greenhouse effect, the temperature rises, the weather changes drastically, the glaciers melt, the ozone layer is loopholes, etc., which is the accumulation of evil. As for the evil consequences, it is foreseeable that sea level rises, land decreases, seaside cities are submerged, and human losses will be unpredictable. In the event of such a large-scale natural disaster, who will affect the evil report? Are the people killed in the natural disasters all destined to be affected by the common cause? In fact, in this kind of natural disaster, the victims are not all in this life. Many people's own lives actually have longer Yangshou and more blessings or karma in this world. But they all have one thing in common. It is a catastrophe at the time of the hit. The robbery is a relatively large concentration of karma, which is reflected in the totem is a relatively high concentration of black gas. The evil result brought by the common industry is the black air of our external environment. The natural disaster is the state in which the common industry will mature and burst out, and it will present a very strong black gas with relatively large coverage. If the person who hits the robbery at this time and has a strong black gas on himself is coming to the place where the disaster is going to happen or for some reason, it will be "in jeopardy." And there is a big enough blessing or merit, that is, there is a robbery in the mission, there is a possibility of survival. Or even if you have already booked a ticket, you will not be able to walk away from the ground for various reasons. Of course, the kind of hell on earth, but when it comes through, it is very painful. In the natural disasters, some people have not survived their lives, but they have not been able to break out of the big environment because they have been covered by the common industry. Then these people will go to the local government, and the law will not be accepted. They can only wander in the world to become a wandering soul until the end of Yang Shou, so there is a lot of such spirituality in the natural disaster or battlefield. This is a very pitiful situation. Negative energy is surrounded by positive energy. There are few places to go. The energy is constantly decreasing. Even if it expires, it can be accepted by the government. But its own spiritual power has been It becomes very weak. Or in the process of waiting, grievances accumulate and go on other paths. Therefore, family members must help them as soon as possible. How do you help the environment? 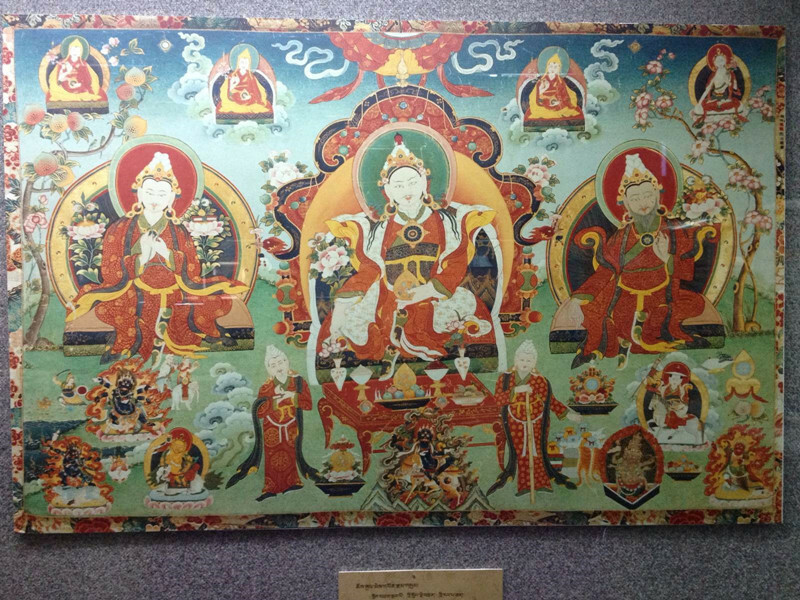 As everyone knows that the Tibetan Buddhism is very important to Tibetan people. So, this article introduces the beginning, development, and current situation of Tibetan Buddhism for helping travelers understand Tibetan culture better. How do fish help the environment? Can religion help with anxiety?